USS Blue Ridge (LCC 19), along with embarked 7th Fleet staff members, made their first port visit to Otaru, Japan in nearly five years Feb 8. During the port call, sailors took the opportunity to reinforce the continued U.S.-Japan alliance by participating in serval community outreach (COMREL) programs. Among those participating was Yeoman 3rd Class Thomas Lattanzio, from Nyack, Rockland County. The COMREL events included a basketball game between Blue Ridge Sailors and students from Otaru Meiho High School, with Blue Ridge celebrating a tough 50-48 victory. However, the game’s final score took a backseat to the importance of using a shared love of basketball to communicate across cultures, according to Yeoman 2nd Class Jordan Ogburn. 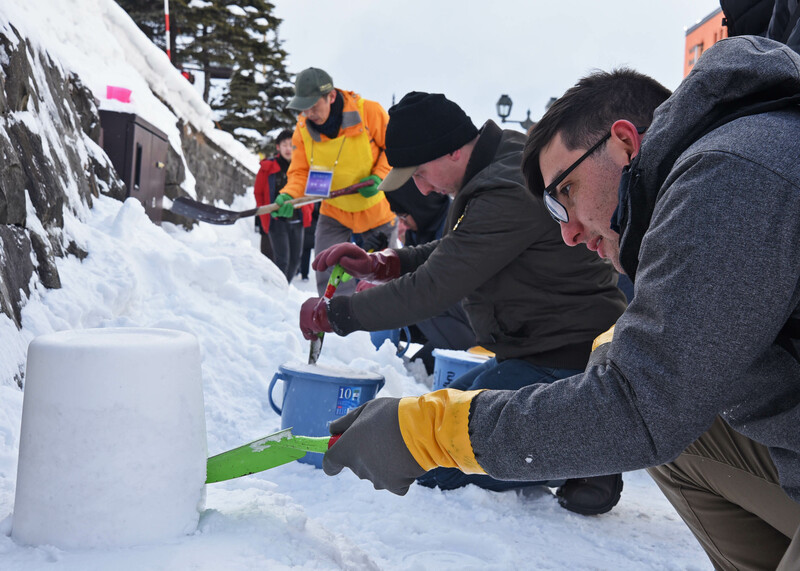 The Blue Ridge/7th Fleet team also volunteered at the Snow Light Path Festival by chipping in to build snow lanterns, clear recently fallen snow and construct ice sculptures. In all, 28 sailors volunteered for the two separate events with a total 92 hours of community service being completed. Blue Ridge recently completed a nearly 2-year extended dry-dock selected restricted availability period and numerous certifications, to ensure she remains ready to promote U.S. and allied interests in the Indo-Pacific region. Blue Ridge is commanded by Capt. Eric Anduze and serves under Commander, Expeditionary Strike Group 7/Task Force 76, the Navy’s only forward-deployed amphibious force.